Dr. Hoagland, a native of Southern Indiana, graduated from Purdue University School of Veterinary Medicine in 1992. He started his practice in 1994 in Huntingburg, Indiana where he currently resides with wife, Angela and daughters, Jessie and Josie. A second practice was added in Tell city in 2006. Dr. Hoagland and family enjoy riding and competing on American quarter horses. 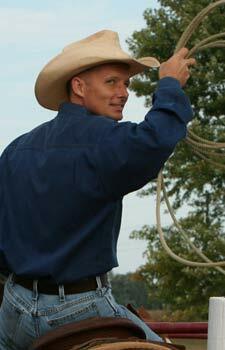 He also enjoys raising commercial beef cattle. 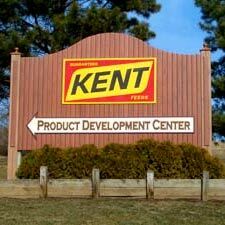 After more than eighty years later, Kent Feeds continues to thrive as a leader in the research, development and manufacturing of animal nutrition products. A subsidiary of the Muscatine Foods Corporation, Kent Feeds remains part of a family owned network of companies including Grain Processing Corporation of Muscatine, Iowa, Precision Foods, of St. Louis, Missouri, and Blue Seal Feeds of Londonderry, New Hampshire.